It doesn’t take much to get me excited about fall. It’s my most favorite time of year. Just the sight of a few leaves on a tree turning shades of yellow, orange, and red makes me downright giddy. It won’t come as any surprise then that I have many fond family memories from the fall, and most of them don’t involve big vacations or elaborate events. Fall is about comfort and enjoying the simple things, and for me, these are the memories I treasure. We had a beautiful state park just outside of the city I grew up in and it was just gorgeous to drive through in the fall. Packing a lunch, playing in the leaves, slowing down for the day – it’s an easy, inexpensive way to take a break from the hustle and bustle to enjoy the natural beauty on display this season! Whether it was watching my cousins play or taking my little ones to cheer on the school at which I taught, there is nothing quite like a high school football game on a cool autumn night. You don’t even have to know anyone playing! Bundle up for the evening, gobble up some concession food, and have some family fun under those Friday night lights! Visiting the local pumpkin patch is quite an event for our family, but the fun doesn’t have to stop after you leave the patch! Whether you spend all day there or just grab your pumpkins and go, plan some activities at home for later in the day or the next day to keep the pumpkin love going! 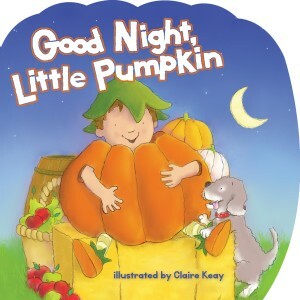 The sweet book, Good Night, Little Pumpkin, tells an adorable story about a boy visiting a fall festival and it would be great for story time following a pumpkin patch visit! I love all the fun activities Milo does while at the festival – great ideas to do at home if your pumpkin patch doesn’t have extra activities! Paint or carve your pumpkins, decorate your front porch with your new fall finds, and curl up with your little one to read Good Night, Little Pumpkin before bedtime! As the temperatures cool down, I like to heat up the stove more, making fall comfort foods to eat, share and make the house smell delicious. I loved days of making cookies with my mom or party mix with my dad and now my boys love doing the same. This is a great chance to stock your freezer with homemade bread or bake a bunch of goodies to give away to neighbors! Fall always arrives and invites me to slow down and settle in to a season of beautiful change and I want to enjoy it with my family, creating beautiful memories that will last for years to come! Take a break with your family this fall and let the memories happen in those simple moments! 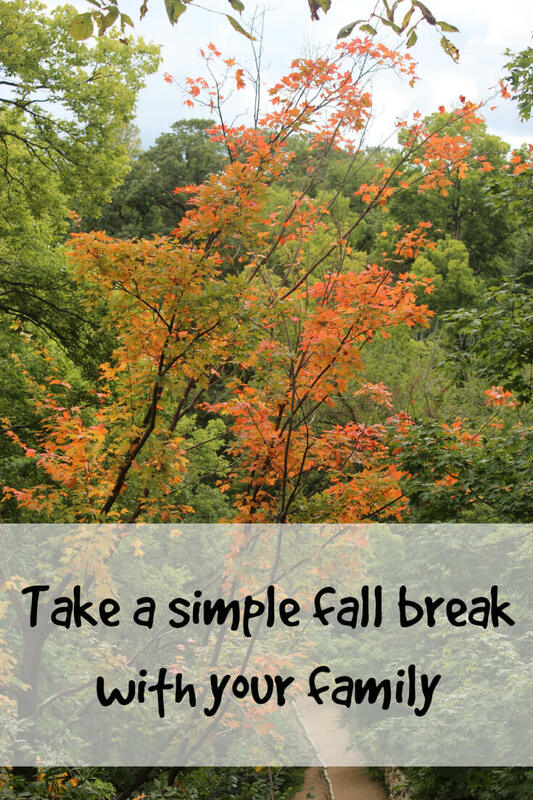 How do you enjoy taking a simple fall break with your family? This entry was posted in Blog and tagged Activities, Fall, Fall Break, Family, Good Night Little Pumpkin, Parenting, Vacation by Erin Mohring. Bookmark the permalink.